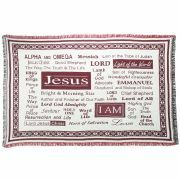 SpecificationsThis Pillow is 17 inches wide by 17 inches tall, and is woven from 100% cotton.Kingdom..
50" X 60" TAPESTRY THROW 100% COTTON MADE IN THE USA MACHINE WASH IN COLD WATER ON GENTLE CYCLE. 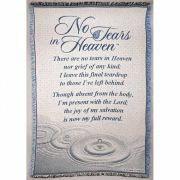 TU..
Our Firefighter throw is a colorful tribute to the men and women that help at times of trouble and t..
46 inches x 68 inches H46 inches x 68 inches H2 layer 100% Cotton.. 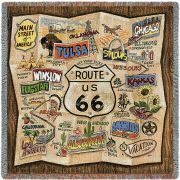 Colorful tapestry throw featuring landmarks, icons and more from your favorite state! 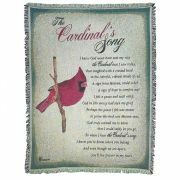 Many other sta..
Lighthouses of Oregon mid-size tapestry throw (50"x60") 100% cotton machine wash cold/tumble dry low..
- Nina Graff - Verse: Alda Maria 100% Cotton 52 inches by 68 inches Height..
17" X 17" TAPESTRY PILLOW MADE IN THE USA FRONT: 60% COTTON/40% POLYESTER BACK: 70% POLYESTER/30% ..
68 inches x 46 inches h.68 inches x 46 inches h.100% cotton. Medium Weight Tapestry. Cranberry/Natur.. 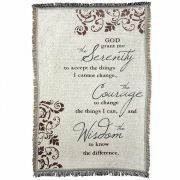 Heavy Weight Tapestry Throw Multi-layer 100% Cotton 52 inches by 68 inches Height..
"WELCOME ABOARD" A welcome message for the nautical and nautical at heart, with border featuring col..
Sunflowers Vg TapestrySpecificationsThis Tapestry Throw is 54 inches wide by 70 inches tall, and is ..
Our Collegiate items are all 100% cotton, Jacquard woven, and skillfully made by our artisans. We do.. This neutral pillow with a flowery background is a whimsical saying from Mother Theresa about God.Sp..
Verse: Alda Maria ---+Dicksons 52 inches by 68 inches Height Heavey Weight 100% Cotton..
Santa becomes a family member in this cherubic holiday portrait in his vivid red suit with rosy red ..
James Lee uses soft lines and colors to create images that invoke peaceful and tranquil thoughts. 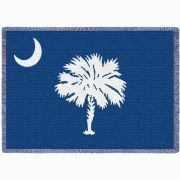 Th..
South Carolina State Palmetto Moon Blue Flag Stadium Blanket 48x69 in. SpecificationsThis Afghan is 48 inches wide by 69 inches tall, and is woven from 100% cotton.Kingdom..
South Carolina's flag is well represented in this pillow.SpecificationsThis Pillow is 17 inches wide..
Take a road trip down old route 66. 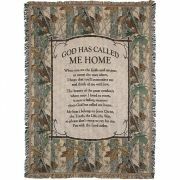 This square throw has a retro-map effect and depicts towns along..
"Retirement... a time to look back on your accomplishments, as you ponder the possibilities ahead." 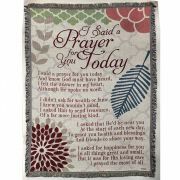 ..
<p> An ornate and colorful border surrounds the scripture Psalms 91:4 on a lovely rich blue b.. The prestigious Navy logo sits atop our symbol of freedom, the American flag. This would make any so..